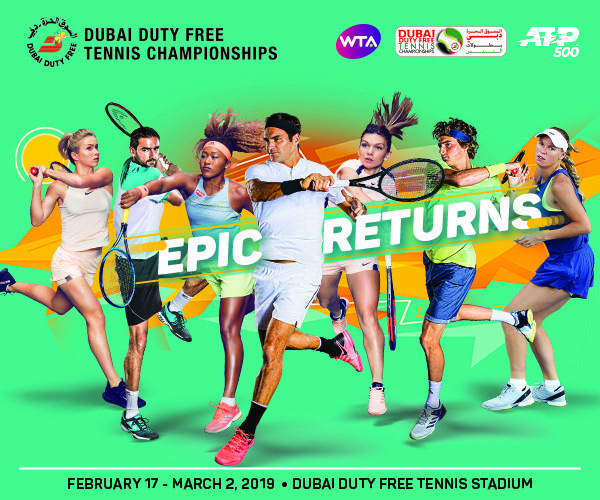 Semi-final berths are on the line on Day 4 of the 2019 Dubai Duty Free Tennis Championships. The quarter-finals on Thursday of the Dubai Duty Free Tennis Championships are led by No. 2 seed and seven-time champion Roger Federer, No. 5 Stefanos Tsitsipas and No. 6 Borna Coric. Federer is the only quarter-finalist who has reached the Dubai final in the past. In the opening match, Frenchman Gael Monfils and Lithuanian qualifier Ricardas Berankis meet for the second time. Monfils won 61 63 in the 2R of 2014 Bucharest. Monfils comes into his second Dubai quarter-final in three years with an 11-2 record on the season. He is trying to advance to his third semi-final (or better) this season. He won his eighth career ATP Tour title in Rotterdam. Berankis is appearing in his first quarter-final since October last year in Moscow (as a qualifier). In the next match on, Polish No. 1 Hubert Hurkacz takes on Tsitsipas, who has won both previous meetings, including last week in Marseille where the Greek #NextGenATP star captured his second career ATP Tour title. Hurkacz is appearing in his first career ATP Tour QF after his first Top 10 win over No. 6 Nishikori on Wednesday. Tsitsipas is back in the quarter-finals here for the second straight year and he is 13-4 on the season. In the third match on, Federer plays No. 1 Hungarian Marton Fucsovics for the second time. Federer won in straight sets in the 4R of last year’s Australian Open. Federer is making his 11th Dubai QF appearance and he’s never lost in this round (10-0). Federer collected his 50th win in Dubai (50-6) on Wednesday over Verdasco. Fucsovics is attempting to post his first career Top 10 victory (0-7). He is playing in his first Dubai quarter-final. In the final match on, Coric and Nikoloz Basilashvili square off for the fifth time (tied 2-2). Coric won both of last year’s meetings in straight sets after Basilashvili took the first two contests in 2017. Coric was a semi-finalist here in his 2015 debut and Basilashvili is playing in Dubai for the first time.